500pcs/month, depend on client's order quantity. 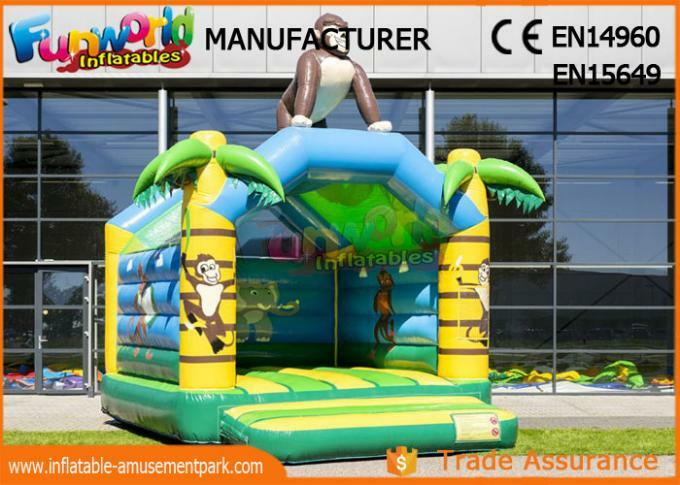 Every bouncy castle comes with a sewn in shower cover where requested, deep bounce bed, a fully webbed bed and step, netted windows and open areas, outstanding digitally printed artwork where requested and also benefit from PVC reinforcing on all major stress points. For sewed/stitched inflatable bouncer: We use best PVC tarpaulin 0.55mm or lightweight ripstop nylon material.Our material is commercial grade PVC tarpaulin. It is water-proof, fire-retardant, UV-treated and passed SGS certificate. It has mesh fabric with pvc coating to provide the material higher strength and flexibility. 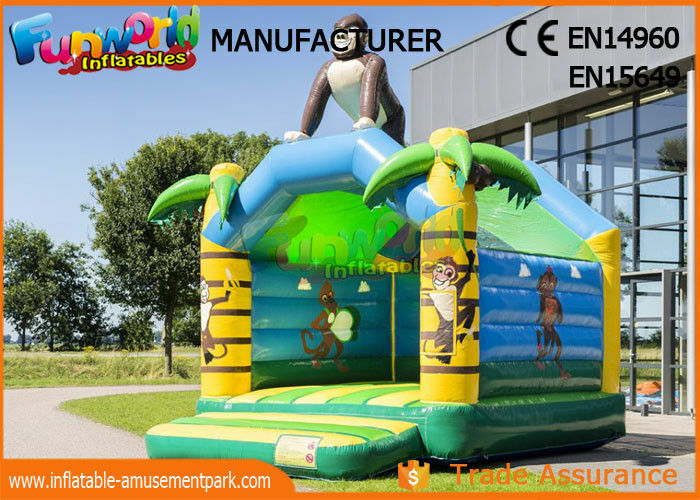 Each of inflatable games has CE/EN14960/EN15649 Certification to meet u market,and our blower is CE(220v-240v,50hz)/UL(110v,60hz) which plug can be customized..Our material is from one of best material supplier-plato,the also passed TUV,EN71,SGS,ROHS Certification..Choose Funworld,you will never regret. 2. Can i chaneg the size and color? -- PVC carry bag for inflatable game, Carton for blower. 6. How about production time? -- Usually 1-3items about 5-7workdays, more items, pls check with us.